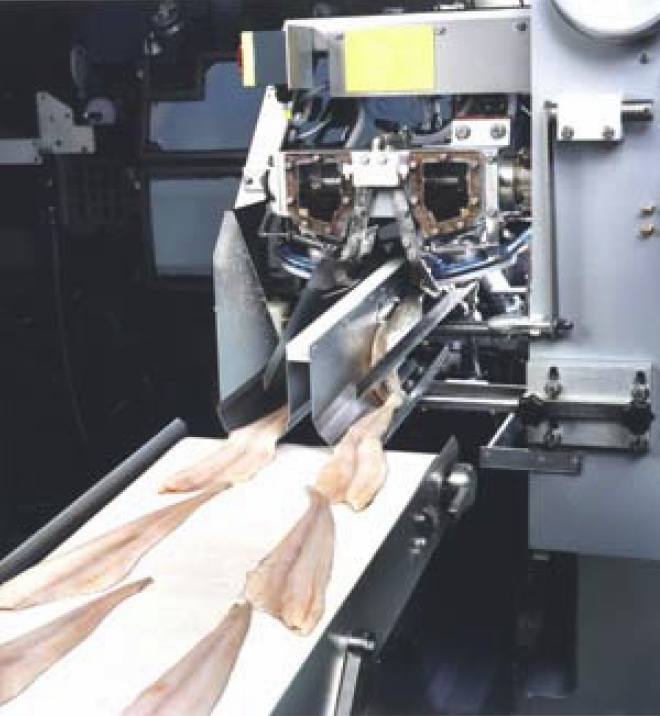 Most fish heading & gutting, and filleting operations, are performed by two separate machines. Both these operations are combined into one, resulting in significant advantages. Operators are only required once: to feed whole fish. Electronic measuring and control systems measure the fish and then optimize both the heading and the filleting in order to achieve high yield in both operations for all fish sizes. 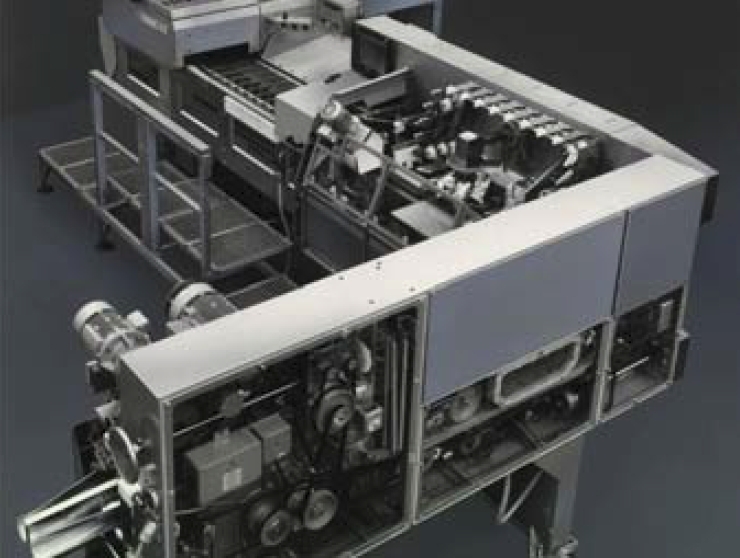 Since the machine does not use saddles, but instead operators place the whole fish into trays, a throughput of up to 150 fish / minute can be achieved! The Baader 212 is the Big Brother of the Baader 182: you typically find both machines onboard: the Baader 182 is used for processing smaller fish whereas the Baader 212 is used for processing larger fish. The filleting section of the Baader 212 is now available in Stainless Steel! Additionally, the machine can perform J-cut. Fish species: Cod, Hake, Alaska Pollack and Hoki.